Dr.'s David R. Bolla, James P. Cotter, and Jeffery W. Easton II offer porcelain crowns to adult patients in Port Huron and Marysville who are in need of cosmetic treatment repair to broken teeth, fractured fillings, and other dental issues. Porcelain crowns are matched to the color of your teeth, for seamless repair. They are also highly durable, making them ideal for repairing molars. Crowns, which are also called caps, encase the entire surface of a tooth and restore it to its original size and shape. Crowns are often called for when a tooth cannot be properly restored with a filling, inlay, onlay, or other forms of restoration. What Types of Conditions Do Porcelain Crowns Repair? Once placed by our Port Huron cosmetic dentists, a porcelain crown strengthens the tooth structure and protects it from further damage. 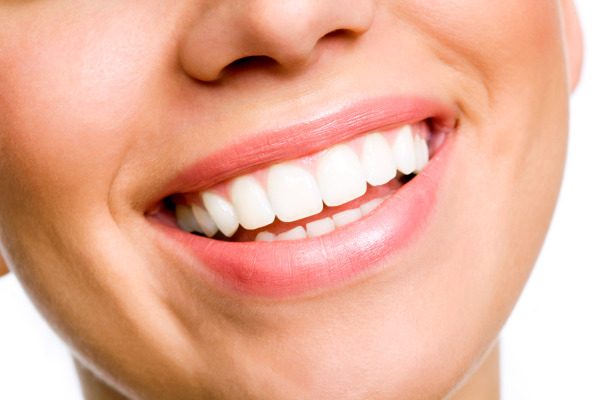 Porcelain crowns look like natural teeth and are unnoticeable to the untrained eye. Porcelain is the material of choice for crowns because it is natural looking and extremely durable. Drs. Bolla and Cotter match the porcelain material to your existing tooth color, ensuring a perfect fit. Like other forms of dental restorations, porcelain crowns are long-lasting dental repairs. However, due to natural wear and tear, they may require restoration or replacement at some point. Whether you need a new crown or a crown restoration, we can help. Getting a new porcelain crown typically requires two visits to our Port Huron dental office. First Drs. Bolla and Cotter will take impressions of the affected tooth. This mold will be used to custom-create your temporary porcelain crown. While your final crown is being specially created at a trusted dental lab, we’ll give you a temporary crown to protect your tooth before the final restoration is placed. After making the mold, the dentist will numb your mouth and prepare your tooth for the permanent crown. This involves removing any decay and shaping the surface of the tooth. The temporary crown will then be precisely placed on your tooth to ensure a proper bite. You'll wear the temporary crown for about two weeks while a trusted dental lab fabricates your porcelain crown. The second appointment involves removing the temporary crown, cleaning the tooth, and placing the permanent porcelain crown. Our cosmetic dentist will fine-tune the placement to for a comfortable fit, proper spacing, and accurate bite. Visit our Cosmetic Dentists in Port Huron Today! Is a porcelain crown in your future? Port Huron and Marysville dentists Dr.'s David R. Bolla, James P. Cotter, and Jeffery W. Easton II can help. Contact us today to schedule a consultation.